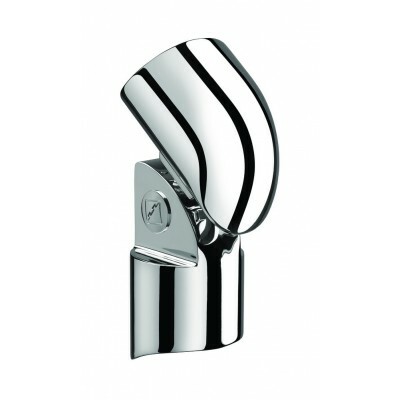 Chrome plated bottom newel connector from the Fusion range by Richard Burbidge. This premium quality connector enables you to attach the Fusion handrail to a Fusion newel post at the base of the stairs. Connector comes apart for easy installation. For use with stair pitches between 38 degrees and 45 degrees. Will fit Fusion handrails and newel posts only. Supplied with self-tapping screws.